Yeah, Ringo sang about getting by with a little help from his friends, and I certainly wouldn’t have had cool hot rods without the influence and help from mine, either. Two of those friends are Don Albers and Jerry Eckholdt. 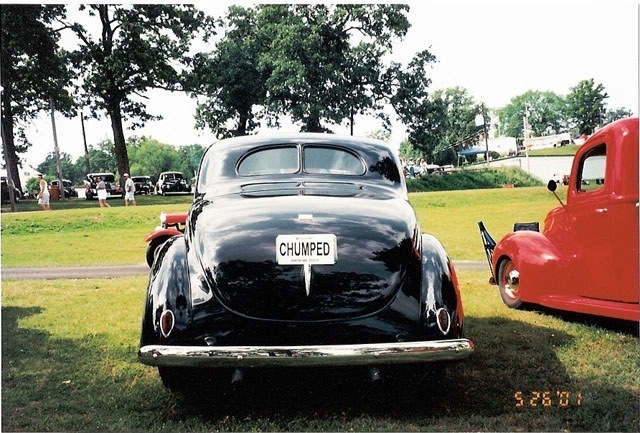 Both guys build really cool cars, and back in 2001, we were at the NSRA Springfield event, and they were joking around about building Don’s red ’40 pickup, and trying to decide who was the “Chump” and who got “Chumped” during the build! It was a pretty funny conversation. 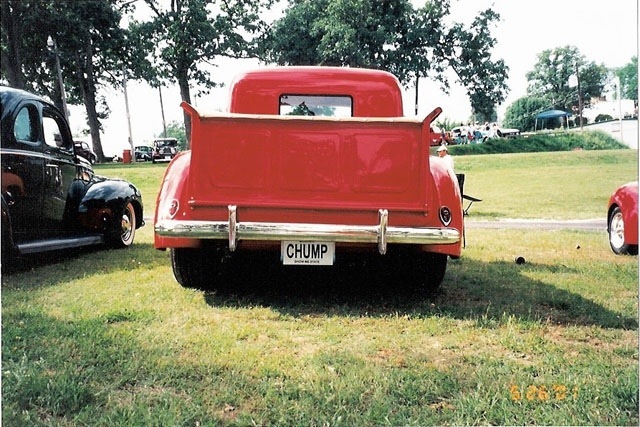 That evening, I went home and made up a couple of paper license plates, and had a little fun with them the next day! I don’t know what happened to them, but they got swapped around several times during the day!